Islamabad:A leading US based company has shown interest for investment in Pakistan in the wake of opportunities offered by the China-Pakistan Economic Corridor (CPEC). 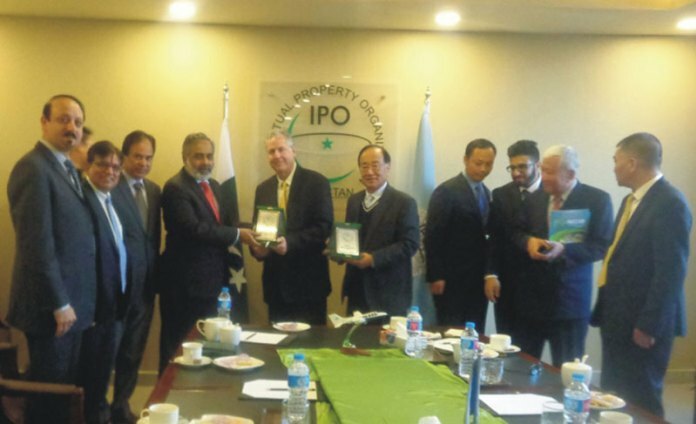 A high level eight-member delegation of the US based international company, World Technological & Trade, Inc (WTTI), led by its Chairman, Dr. Robert Y.NI visited Intellectual Property Organization (IPO-Pakistan). Muhammad Irfan Tarar, Director General, IPO-Pakistan welcomed the delegation and briefed them about Intellectual Property Rights (IPRs) protection in Pakistan. Dr. Robert said his company would like to invest in the fields of Mining, Information Technology, Robotics and Pharmaceuticals and use their expertise in these areas. He termed the meeting as a very important step towards establishing of business in Pakistan as their business would require safeguarding of IPRs. Tab Ballantyne, executive vice president of the company appreciated the business environment of Pakistan and stated that WTTI would like to take maximum benefit from this business-friendly environment. He urged rest of the world to stop portraying negative propaganda about Pakistan as the business environment in Pakistan had great potentials to attract foreign investment.